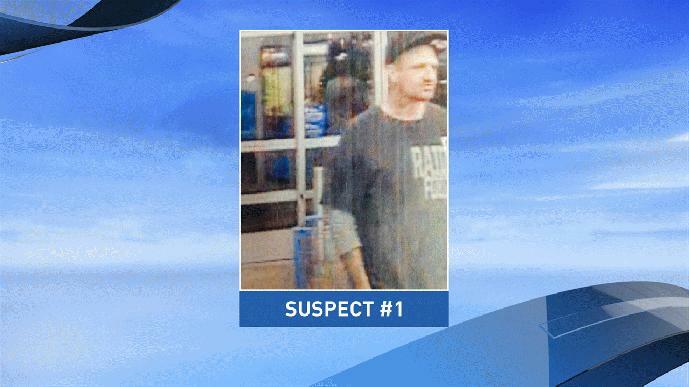 Last month a concealed carry permit holder walked into a Walmart with his concealed firearm. The catch? It wasn't well concealed. The firearm carrying citizen went into a store bathroom and was followed by another man who attacked him with a punch in the face. When the firearm owner fell to the ground the attacker stole his firearm from him and turned it on the gun owner. Far too many things are wrong with this picture but the most obvious one comes down to the idea that concealed means concealed. Parading around our firearms is not only unwise its outright dangerous. If to any degree you are or have become sloppy in your concealed carry technique it is time to button up your game. Second, we need to mind our own situation with much greater care. The suspect was clearly following around the man throughout the store waiting for the right opportunity. Would you have noticed? How much attention do you give to the people around you. Don't let your guard down just because you are in a public place you assume to be fairly safe. Third, a good holster should have an element of firearm retention. Either a strap, button, or twist type break that makes it difficult for anyone to pull the firearm free quickly unless they are in the right position and have trained with the holster. Does your holster have strong retention? That type of problem could not happen in Mississippi. We have a open carry law but there is a permit is required regulation. This eliminated that kind of problem. A store may limit entry by posting the entry doors. Those that did post found there business went elsewhere. Concealed means just that…..Keep it that way…. And all ways know what is going on around you…..
We have everyone from Bum Fuc$ land in the USA now. The Government can’t keep the USA safe anymore. The police come after the fact. You are on your own people.. That simple. Know your rights. And use them… Don’t count on the Police are the Government to protect you. And if you do need to use your gun…. When the police come… Give your name & say…. I was in fear for my live. I want a lawyer.. And the shut the hell up… Until you have one with you…..Got it!? You are spot on with your statement, but when the Police are called you are as likely or not to wind up in the hospital from tripping or falling down the stairs before your legal advisor is called. Every day it seems that the police are as dangerous to confront as the lawless. First and foremost.When I am carrying my weapon open I am in the Orange zone all the time..Being responsible is our business and concern always.I do not wear to flaunt it.It is a GREAT responsibility.Knowing when to use it.Hopefully never. Mr.M, I definitely agree,NOT a word. You CAN and WILL incriminate yourself..Saying the wrong thing is what Law Enforcement listens to.SUPPOSED TO BE INNOCENT TILL PROVEN GUILTY.HAHAHA RIGHT. the means of carry had naught to do with this. What you stated in the second paragraph is the whole story. ALWAYS be alert to your surroundings including what people are in them and what they are doing. When that guy began to pay attention to the carrier, had it been me, I’d have immediately began “casually” moving toward a security officer or the customer service desk. I NEVER would have gone into a closed area like the loo, and if I absolutely HAD to “go” I’d certainly have been aware of this guy following me, and ready to take action if I could not shake him. There are those out there who believe anyone with a gun is a criminal and must be punished…. or the gun removed from his possession. It is a sort of projection.. their violence and lawbreaking proves they cannot be trusted with a gun, and by extension they think no one else can either. I’m not so certain about retention holsters, either. They slow down one’s draw significantly in an emergent situation. The only time ,mine has ever “escaped” is when playing rough footie wiht a bunch of rowdy teenagers. (they all wanted to see it up close once I quickly recovered it.. had it been at a park I’d have removed it and left it in the car, but I know and trust these kids. Tionico,You should lock it in your trunk of car.Always Safety Always.It does not matter who you know it is the Safety factor.Be alert always does not matter who you are around some one can come in the picture at anytime. It is always the responsibility of the licensed gun holder to ensure their weapon does not end up in the wrong hands. I look forward to obtaining my ltc and will ensure it is always properly concealed and secured. You should always be aware of your surroundings and just to throw this out there people kill people not guns, you can take someone out with a pencil or by hand if that’s your intent. Less crime would occur just having it known that responsible people have an ltc. What if the person was a plain clothes detective and this guy did this? What then? There is no doubt that the guys awareness was not where it should have been, however, the constitution gives us the right to carry firearms however we choose…it’s politicians that have limited this right. I support open carry but do not practice it. I prefer concealed carry, but would never criticize someone who open carried. It’s a right. Douglas,I agree with you.I like open carry too.But I think that I might make myself the first target wearing open than concealed.I still wear open on occasions but in most I conceal to be safer. ALSO WHY WAS THE MAN THE HIT HIM AND STOLE THE GUN NOT ARRESTED .AND JAILED .? I carry everything I can in a Bianchi paddellok or if 1911 a level 3 w/thumbbreak strap, as its cocked and locked. I have been jumped more than once, only 1 has ever got.control thank God I was able to use the mag safety on S&W’s. Released.the mag got to my back-up and put a few rounds of. 38 out of a Colt Det. special. Why I still carry at least 2 out and about, even if it’s a. 22Lr NAA revolver. Leo,I am retired too.I like my Kimber .380 and my Kimber .45 both are dependable and accurate.I was accosted by a crowd of young guys.Thinking an old man easy pickens.They thought..When I unholsterer the .45 They were like Nickolaus Cage gone in 60 seconds. So was that idiot arrested for assault and battery? He should’ve been. He had no right to attack a man for carrying a firearm. If he thought the man might be a criminal, he should’ve called 911 and reported it. I’ll bet that idiot was from the Peoples Republic of California. He escaped the Walmart with the gun. Had an accomplice waiting outside with a car. His intent was to steal a gun.